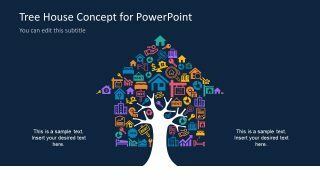 The Free House Concept Design for PowerPoint is an outstanding slide template for real estate presentations. The is a multi-purpose PowerPoint, ideal for demonstrating housing industry and relevant topics. 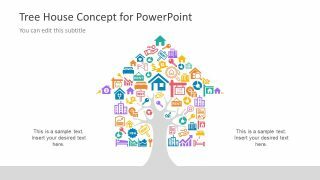 This PowerPoint contains numerous clipart making a tree house collage illustration. The collage of shape has a tree image with branches, holding the tree house clipart. This is a cool infographic template of creative and colorful icons which come handy in real estate presentations. For example, the house designs with magnifying glass for the search. Or, an icon with electric switch, currency symbol along with simple home icons demonstrate relevant ideas. Also, the rental board signs and keys are helpful to present ideas like apartment hunt, tenants, available space etc. Moreover, the similar icons are also available for sale of real estate which is a graphical aid for displaying sales. The Free House Concept Design for PowerPoint is a popular choice for the real estate companies. The use of flat design vector icons enhances the visual of presentation and provides the modern minimalist view. Hence, it is easier to deliver an accurate message to the audience with minimum effort while creating a content. These unique graphics assist in creating a stunning presentation using the shapes, icons and their customization features. Further, this free PowerPoint of house concept has two background variation slides as white and blue. This feature allows users to select the desire theme for their main presentation. 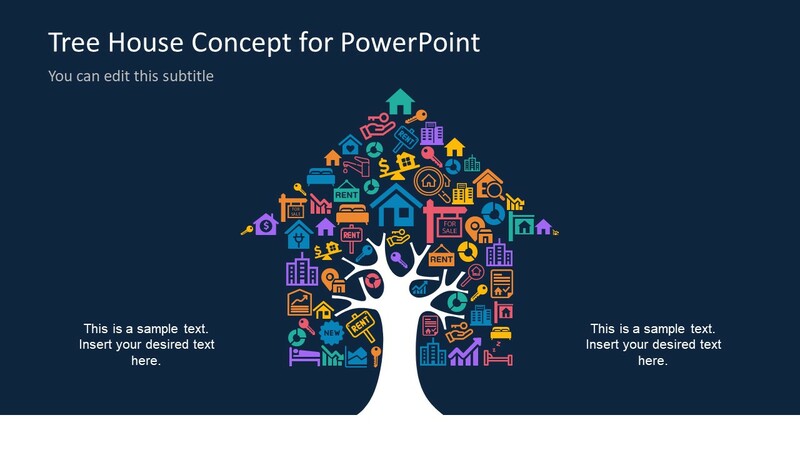 This brilliant PowerPoint free template tree house concept collage is a collection of all the useful clipart for real estate. The users can select an icon, copy, edit color, rescale and duplicate to use in other presentations. Therefore, the 100% customizable template of house concept offers an incredible range of infographic with plentily customization options. 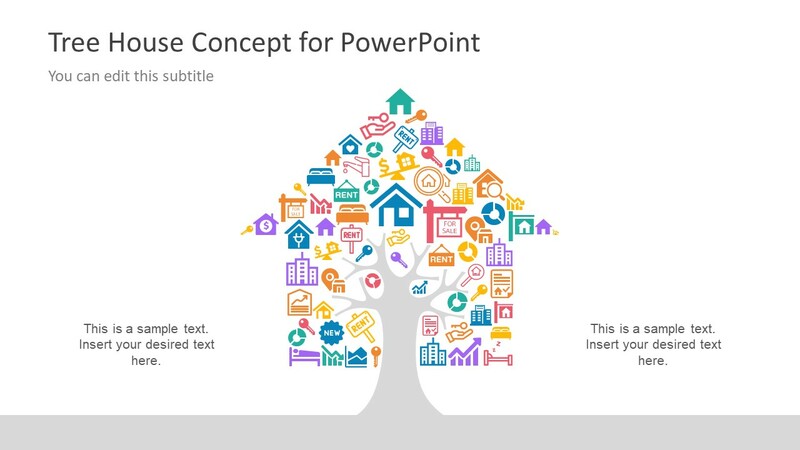 Further, find the amazing PowerPoint tree house concept with more slides is available in main catalog of SlideModel.